suffering the test of time? We can help. 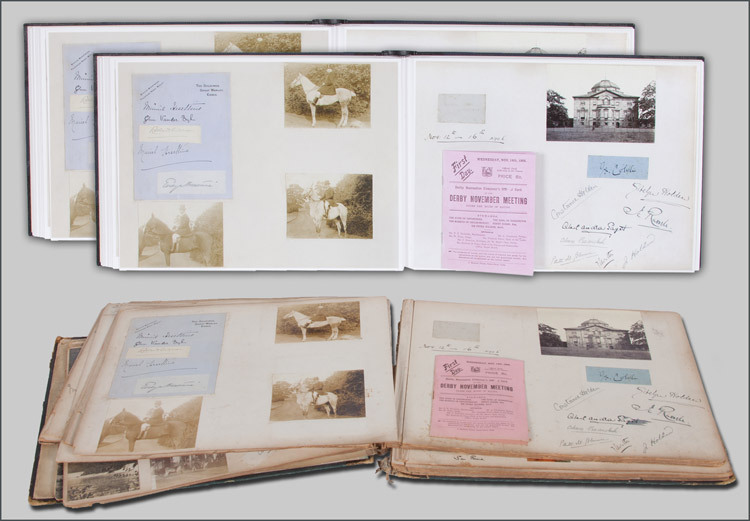 Due to advances in technology we can now copy and restore entire photo albums giving them another hundred years of life. For a no obligation estimate give us a call and we can go through the different options available to you. Using state of the art scanners we will create high resolution digital copies of each page. These copies can be sized to print at the original size or they can be enlarged or reduced in size. We can provide a DVD of all of the pages so that you can view them on your computer or TV. With old books time can take its toll and photos and pages can begin to fade and can become marked and torn. We can digitally repair the digital copies of each page or selected pages, restoringthem to their former glory. Your copied pages are printed using a state of the art digital printing process onto paper with a silk or matt finish which can then be bound into a huge variety of different covers. This process allows you to choose from a huge variety of different options, whether it be the size of the book, the thickness of paper used, the material in which the book is bound or even how the front cover and spine are personalised. For an idea of pricing: A 24 page, cloth bound, A4 book will cost in the region of �96. 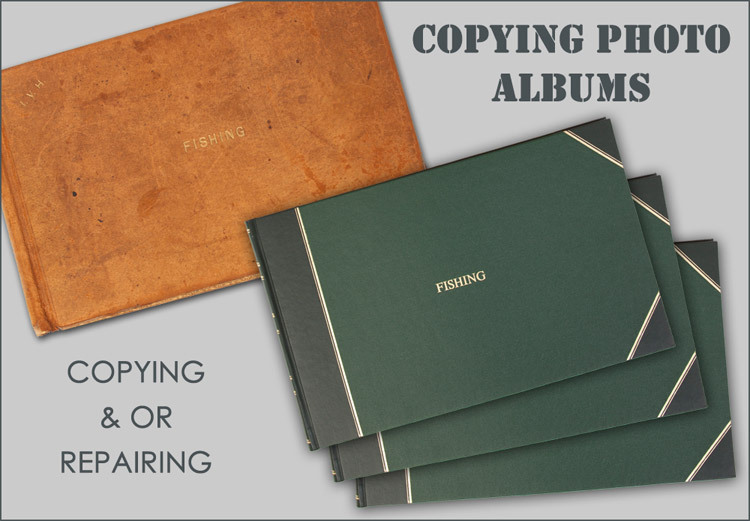 The overall cost to copy an album and produce a new one is generally varies between �8.50 and �12.50 per page depending upon the clients specifications. 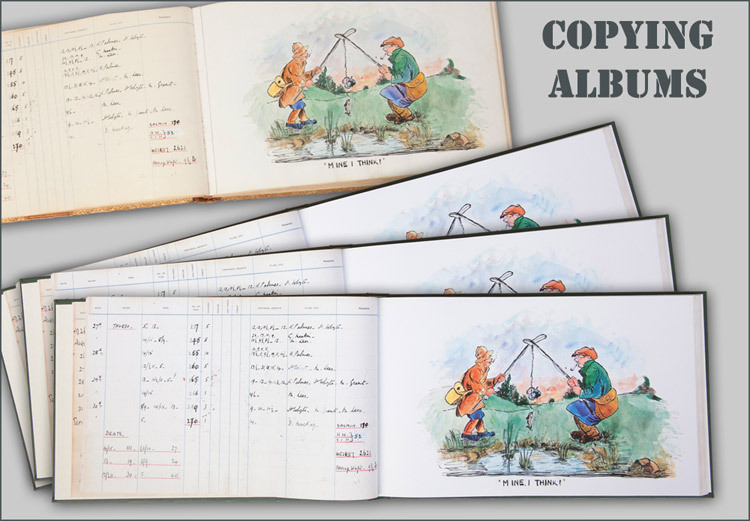 If you are simply wanting you original album repaired, whether it be a mark on the cover or, the fact that the pages are beginning to fall out, we can also help. With well over 100 years of experience our bookbinders are able to restore pretty much anything! Once our book binders have had a look at your damamged book we can give you a clear idea of the time scale and cost of the job.